You'll visit kid-friendly attractions like Ghirardelli Square and Exploratorium. Give yourself a bit of retail therapy at Ferry Building Marketplace and City Lights Booksellers. There's lots more to do: take in the views from Golden Gate Bridge, browse the eclectic array of goods at Ferry Plaza Farmers Market, admire the natural beauty at Japanese Tea Garden, and shop like a local with Union Square. For other places to visit, maps, traveler tips, and more tourist information, use the San Francisco day trip planning tool . Perth, Australia to San Francisco is an approximately 25-hour flight. The time zone changes from Australian Western Standard Time to Pacific Standard Time, which is usually a -16 hour difference. Plan for somewhat warmer nights when traveling from Perth in June since evenings lows in San Francisco dip to 15°C. Finish your sightseeing early on the 18th (Tue) so you can travel to Arcata. Arcata, originally Union Town or Union, is a city adjacent to the Arcata Bay portion of Humboldt Bay in Humboldt County, California, United States. Kick off your visit on the 19th (Wed): identify plant and animal life at Samoa Dunes Recreation Area, then look for gifts at Golden Gait Mercantile, and then savor the flavors at Arcata Farmers' Market. On the next day, identify plant and animal life at Humboldt Coastal Nature Center, then take a leisurely stroll along Trinidad Harbor, then take in the dramatic natural features at Camel Rock, and finally look for all kinds of wild species at Arcata Community Forest. To see maps, where to stay, and more tourist information, go to the Arcata road trip planner . The Route module can help you plan travel from San Francisco to Arcata. Traveling from San Francisco in June, you will find days in Arcata are a bit cooler (20°C), and nights are about the same (13°C). Cap off your sightseeing on the 20th (Thu) early enough to travel to Yosemite National Park. 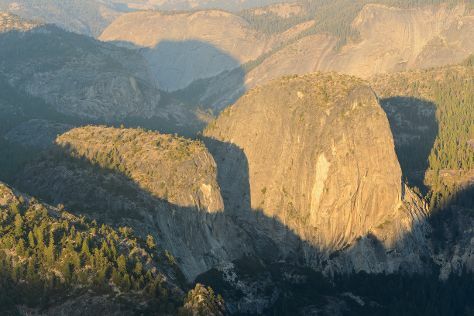 On the 21st (Fri), get great views at Tunnel View, make a trip to Yosemite Conservation Heritage Center, then take in the dramatic scenery at Vernal Fall, and finally take in the dramatic scenery at Yosemite Falls. Get ready for a full day of sightseeing on the next day: explore the striking landscape at Glacier Point, then look for all kinds of wild species at Nature Center at Happy Isles, and then look for all kinds of wild species at Mono Lake County Park. To find ratings, where to stay, maps, and other tourist information, use the Yosemite National Park day trip planner . You can drive from Arcata to Yosemite National Park in 8.5 hours. Another option is to fly. When traveling from Arcata in June, plan for somewhat warmer days in Yosemite National Park, with highs around 30°C, while nights are slightly colder with lows around 7°C. Finish up your sightseeing early on the 22nd (Sat) so you can go by car to Carmel. Carmel-by-the-Sea, often simply called Carmel, is a city in Monterey County, California, United States, founded in 1902 and incorporated on October 31, 1916. 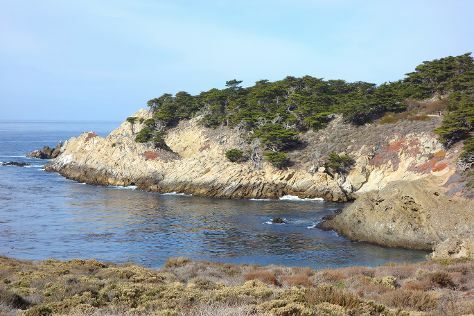 Kick off your visit on the 23rd (Sun): kick back and relax at Carmel River State Beach, stop by The Cheese Shop, and then look for all kinds of wild species at Point Lobos. On the next day, enjoy the sand and surf at Pfeiffer State Beach, take in the exciting artwork at Carmel Art Association, then pick up some local products at Pacific Grove Certified Farmers' Market, and finally get up close to creatures of the deep with a dolphin and whale watching tour. To find more things to do, where to stay, and other tourist information, refer to the Carmel tour builder app . You can drive from Yosemite National Park to Carmel in 5 hours. Other options are to do a combination of car, flight, and bus; or do a combination of car, flight, shuttle, and bus. When traveling from Yosemite National Park in June, plan for slightly colder days in Carmel, with highs around 23°C, while nights are a bit warmer with lows around 13°C. Finish your sightseeing early on the 24th (Mon) to allow enough time to drive to San Simeon. Kick off your visit on the 25th (Tue): kick back and relax at Piedras Blancas, look for gifts at Sebastian General Store, and then identify plant and animal life at Elephant Seal Rookery. For photos, more things to do, maps, and other tourist information, refer to the San Simeon day trip planner. Traveling by car from Carmel to San Simeon takes 3 hours. Alternatively, you can do a combination of bus and car. Traveling from Carmel in June, you will find days in San Simeon are much hotter (39°C), and nights are about the same (13°C). Finish your sightseeing early on the 25th (Tue) to allow enough time to drive to Los Angeles. 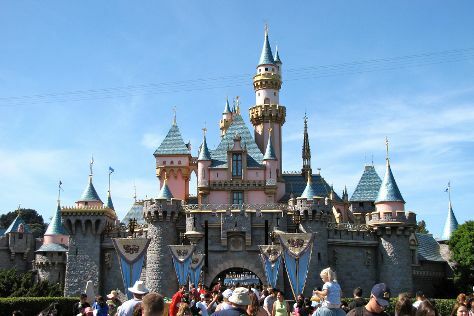 On the 26th (Wed), find something for the whole family at Disneyland Park. Get ready for a full day of sightseeing on the 27th (Thu): get to know the fascinating history of Hollywood Walk of Fame, stop by Amoeba Music, browse the different shops at The Grove, then shop like a local with Montana Avenue, and finally get a taste of the local shopping with Third Street Promenade. To see where to stay, maps, more things to do, and tourist information, read Los Angeles road trip site . Getting from San Simeon to Los Angeles by car takes about 4.5 hours. Other options: do a combination of bus and flight; or do a combination of bus and train. Traveling from San Simeon in June, you will find days in Los Angeles are a bit cooler (30°C), and nights are somewhat warmer (19°C). Finish your sightseeing early on the 27th (Thu) to allow enough time to travel back home.